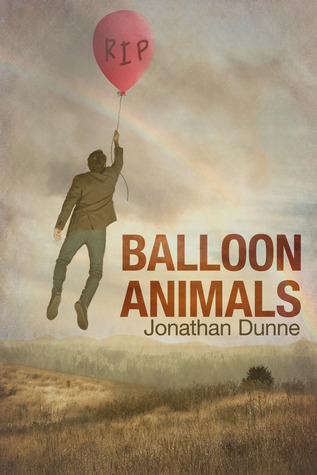 I recently had the pleasure of interviewing author Jonathan Dunne ahead of the paperback release of his comedy, Balloon Animals. Here’s what he had to say about his book, his writing, and his inspiration. Some free verse poetry – very free. I liked to get away from it all. Instead of being cool and chatting up girls or smoking with my friends, I’d go sit in a field and just let my mind wander. Can you imagine! I soon realised that poetry wasn’t for me. It wasn’t blatant enough, too full of metaphors and allegories, and I prefer to tell it how I see it. What’s funny is that my main character in Balloon Animals, Jonny Rowe, speaks in metaphors when he’s nervous. 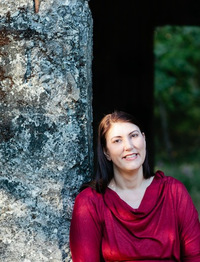 I began writing short stories and had a few published before starting my first novel. I wrote it as a thriller but, after reading it, a London agent asked me if it was a parody of a thriller. That was the moment when I realised that writing humour was where my natural talent lay, so I’m sticking with it. Though all my writing, I think, has a certain sadness to it. To me, life is a tragic-comedy. It all started when I used to edit my mum’s shopping lists as a child. I’d join all the items together with a narrative plot – you know, the carrots blamed the turnips for the murder while the milk just stood there and watched. When I lose myself in it. It’s the best feeling. I feel like I’m on top of the world. Other than your own, of course, what is your favourite book? What inspires you? I don’t have a particular fave but I like ‘Fup’ by Jim Dodge, and anything by Dickens. If I’m being completely honest, my weakness is that I don’t read so much. I worry that reading other books will dilute my work, so I tend to stick with the masters, people I can learn from, without fear of it influencing my own writing. That doesn’t mean that I think there’s no good writing out there. I just have a very clear vision of what I want to read. Film is my biggest inspiration. I love ‘Harold and Maude.’ I watch it at least three times a year. Of course, music is also a big source of inspiration to me. DeVotchka’s music accompanied me through much of Balloon Animals because it has this great tragic-comic atmosphere that really helped set the mood. I recently did a two-way interview with Tom Hagerman of DeVotchka (Little Miss Sunshine soundtrack), which I thoroughly enjoyed. At the moment I’m listening to a lot of Eastern European gypsy music to help inspire me for my new novel, Living Dead Lovers. What’s your favourite opening line? No. The book I wish I’d written hasn’t happened yet. Not until I write it. That might sound odd but each book written is personal and applies to it’s writer. I can’t imagine writing any other type of book than the ones I write. There are certain books that I admire greatly, but each book is so personal, pure of form and particular to it’s creator. For that reason, that’s why there isn’t a book I wish I’d written. Describe Balloon Animals in one sentence. A tragic-comedy road-trip of unusual proportions. How long had Jonny Rowe been with you before you gave him life on the page? He grew as I wrote him. I just knew I had a character who was genuine, if slightly gullible to the ways of the world. Jonny wasn’t someone that I had fleshed out before I started writing, he grew with every page I wrote, and I edited as I went along. For example, if Jonny had done something on page 5 that no longer fitted the Jonny on page 105, I’d go back and rewrite page 5, bringing it in line with who I knew Jonny would become by page 105. How long did Balloon Animals take to write? My books tend to not be for the mass-market, and I know that goes against me, so I put it away for a while. Some books take a while to find their audience. Eventually I decided to self-publish and, lo-and-behold, my book is finding its market. Jonny Rowe struck me as a loveable guy who hadn’t yet found his purpose in life and was struggling to make the transition from boy to man. It took a profound event, the death of 45, to spur him to action and introduce him to the man he could be. How much of Jonny, if any, is you? Jonny is an easy guy to identify with. I think like Jonny sometimes, and even act like him, but Jonny is certainly a magnified version of me. I suppose I think a bit like Jonny, yet his purity is something that escapes me. Jonny is a surprisingly sweet guy considering the odd upbringing that he had. I don’t have one particular favourite over the others, though there were some characters I enjoyed writing more than others. Sooty Le Danse was a blast to write. She was the one character who was so strong that I didn’t have to think about who she was. She was almost independent. I wrote Sooty’s scene in half an hour. The first draft is what you read in the book. That bit was fun! Jonny Rowe is part of an hysterically funny yet dysfunctional family, but within it there is the beautiful relationship between him and 45. Did you have your own 45? I’m afraid the short answer to that question is ‘No.’ He’s complete fiction. Although, if I think about it, I suppose 45 is an amalgamation of lots of people I’ve met on the way. Really, 45 is an organic character that grew as I wrote him. I wish I had a 45 though! One of the things that struck me about Balloon Animals when I read it was that it was obviously a comedy, but less obvious was the love story, the tragedy, and the coming of age story that it is as well. How much of that was your intention at the outset and how much of it grew out of the natural development of the story? For me, writing is an organic process and the story grew naturally. It wasn’t anything I planned. Balloon Animals is a character-driven novel and I feel that there has to be a clear development of those characters, and the story, as a result. So would you say that Balloon Animals panned out the way you thought it would? Absolutely. I don’t know exactly what will happen on the next page during the writing process, but I have key scenes in mind and where they’ll be. Then I work on the narrative that joins it all together until the big picture is revealed. I compare my writing process to children’s dot-to-dot pictures. Any unexpected developments in the plot that caught you by surprise? Digging up 45’s corpse. Not even I was expecting that! If we could get a sneak peak into Jonny Rowe’s life now, what would he be doing? I think he’d be happier in himself and his life, but he’d still be sitting around the bong-house…and he’d never forget about the possibility of unwanted guests. Jonny complains a lot about his crazy life but I think he secretly likes it. Who knows! If you could give Jonny Rowe one piece of advice what would it be? At this stage, I’d ask Jonny for advice. When can we expect to see the paperback? Hopefully around May or June 2013, if I concentrate! What was the best and worst part of writing Balloon Animals? The worst part was the editing process (and I still find mistakes. Oops!). Hopefully all the errors will be eliminated by the time the paperback comes out, which will be one of the best bits so far. Share with us a typical writing day. My days are quite busy so I try to write in the mornings when my head is clear. I normally put ‘real life’ chores on the back-burner until after I’ve left my fictional world. I have a cabin next to my house where I write, except for when it’s really cold when I hide in the attic. I have a great view through the window in front of my desk from up there. It’s pretty cool. Any funny superstitions or rituals? I have a hotel reception bell that I ring once to announce my arrival into my other world. For me, staying in a hotel is quasi-real, just like my books. I also like to be surrounded by antique ticking clocks. What are you working on next? When can we expect to see the next Jonathan Dunne novel? The story follows the unconventional life of Valentina ‘Cabbage’ Moone, starting with her growing up with her Romanian gypsy mother and her father, who is a romantic, and continuing into her adult life where she is now a famed clairvoyant. It’s written in the third person and is similar to Balloon Animals in that it is written like a fictional autobiography. If you like Balloon Animals then you’ll like Living Dead Lovers. I collect antique clocks. As well as liking the sound of them, I like repairing them as well. 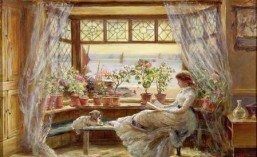 When you’re not busy writing or daydreaming, what do you like to do to relax? Along with repairing antique clocks, I love having a mock fight on the lawn with my daughters and my Vietnamese pig, Georgie. Jonathan Dunne, thank you. It’s been a pleasure. Head on over to read (the Greedy Reader) Emma’s book review of Balloon Animals. Find out more about Jonathan Dunne and his work on his website.